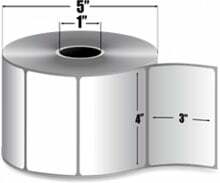 Zebra Z-Select 4000T - 4" x 3" Thermal transfer paper label. 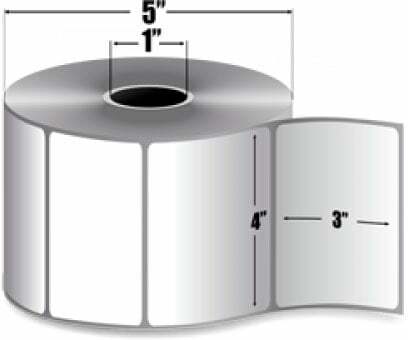 930 labels/roll, single roll. Also available as a case (Part# 800274-305). The Zebra Z-Select 4000T is a thermal transfer, bright white, coated, ultra-smooth, paper label with a permanent acrylic adhesive. Offers excellent adhesion on corrugated packaging. Specially coated for use with compatible Zebra Ribbons for superior durability and image quality. Recommended for a wide variety of applications, such as shipping, receiving, and work-in-process labels. The Zebra 800274-305-R is also known as 800274-305-R	or 800274305R	.